Discipline is doing what you know needs to be done, even if you are tempted to be lazy or do otherwise. The way to get over inertia is to remind yourself of the need, the good reasons for doing it now. And to remind yourself how satisfied you will feel when you have indeed done it. Starting with unconscious incompetence, in learning a new skill we progress to conscious incompetence as we begin to practice a skill we have decided to learn. Then we move on to conscious competence as we master the skill - this is where discipline is required. And finally we arrive at unconscious competence when we need to give the skill very little attention at all, such as when we drive a car. 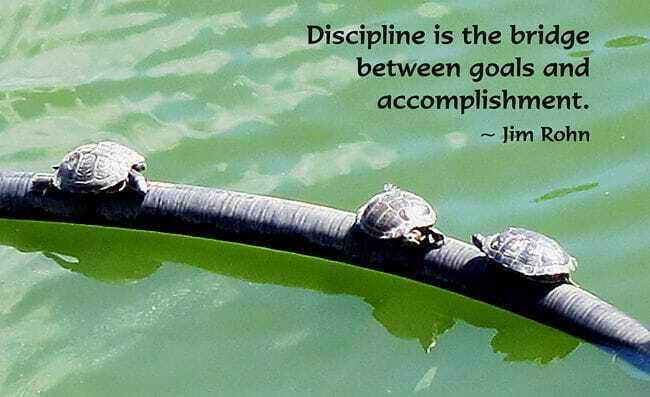 Without that discipline we do not gain the desired ability. The distance between dreams and reality is called discipline. As Zig Ziglar says, "It was character that got us out of bed, commitment that moved us into action, and discipline that enabled us to follow through." Remaining mindful instead of impulsive and distracted, you can stay on the path true to your conscience and caring. 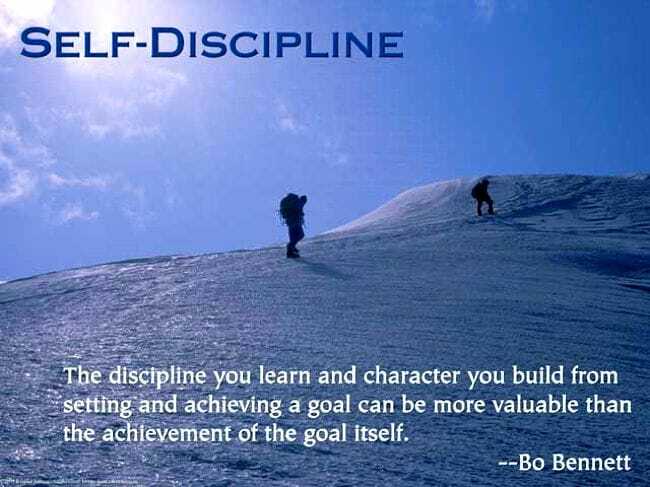 Brian Tracy sums it up... "Self-discipline is the key to personal greatness. It is the magic quality that opens all doors for you, and makes everything else possible. With self-discipline, the average person can rise as far and as fast as his talents and intelligence can take him. But without self-discipline, a person with every blessing of background, education and opportunity will seldom rise above mediocrity."